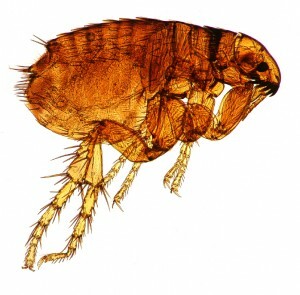 Flea infestations vary in severity. Some homes have only a few fleas that are difficult to find and easy to remove. Others have fleas that seem to come in swarms, causing you to wake up every morning with bites all over your or your pets bodies. The little fleas often simply die off on their own, and a little bit of flea medication on your pet is often enough to get rid of them. But what about severe flea infestations? One of the most common ways to try to remove fleas is by vacuuming them. Fleas tend to live on the ground (and on easy to vacuum furniture), so going over them with a vacuum should, in theory, make it possible to remove them off the floor and out of your home. Because flea eggs are difficult to see and even more difficult to remove, every time you vacuum you should assume you’re only removing the adults. That’s why it’s important to vacuum daily. Every day you vacuum you’ll be able to remove all of the hatched eggs before they’ve become adults and create more flea eggs. Once you’re done vacuuming, place the vacuum bag in a sealable bag, close it, and remove it from your property. Make sure the bag is air tight so that the fleas can’t escape. 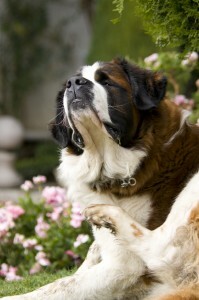 Fleas are often drawn to your home, so if you simply throw the bag outside many of those fleas are going to re-enter. You may also want to consider first treating your carpet with something that can kill fleas and flea eggs before you vacuum them up so that they do not have an opportunity to jump away from the vacuum. Boric acid is a natural powder that causes severe dehydration in fleas. By sprinkling some on your carpet and in all flea-infested areas and keeping it there for several hours you can kill off most fleas and then vacuum up both the fleas and boric acid afterward. There are natural ways to reduce flea infestations, and with something as simple as a vacuum and flea medicine for your pet you should be able to reduce the flea population dramatically in mild to moderately infested homes. If you find that you have a severe flea infestation and need immediate help, fill out our service form and get $50 off your first service.